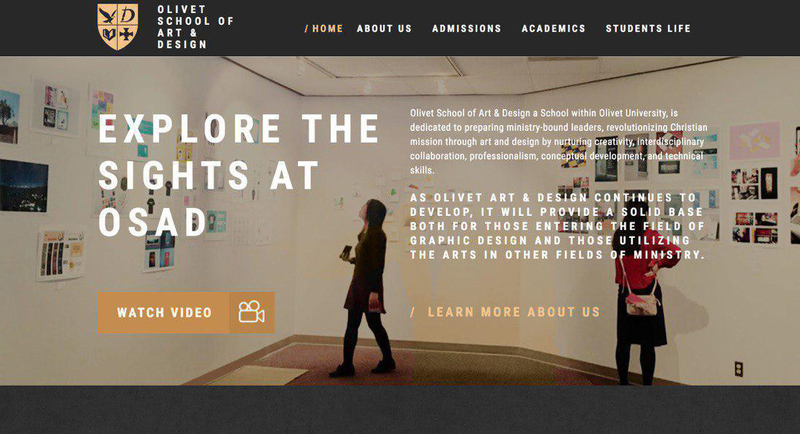 The Olivet School of Art and Design (OSAD) has recently launched its new website, which reflects the school identity and offers insightful content about its programs. The new website displays samples of student work and presents a video highlighting OSAD's wide range of arts including graphic design, 3D modeling, web design, and fine art. It will serve as a platform to connect with current OSAD students and inspire potential students. "I am glad that the new OSAD website has been launched. It will be actively used to share the school’s development and promote OSAD to potential students," OSAD professor Rodem Hwang said. OSAD's new website design incorporates a contemporary feel and features improved user interface layouts, making content more easily accessible.